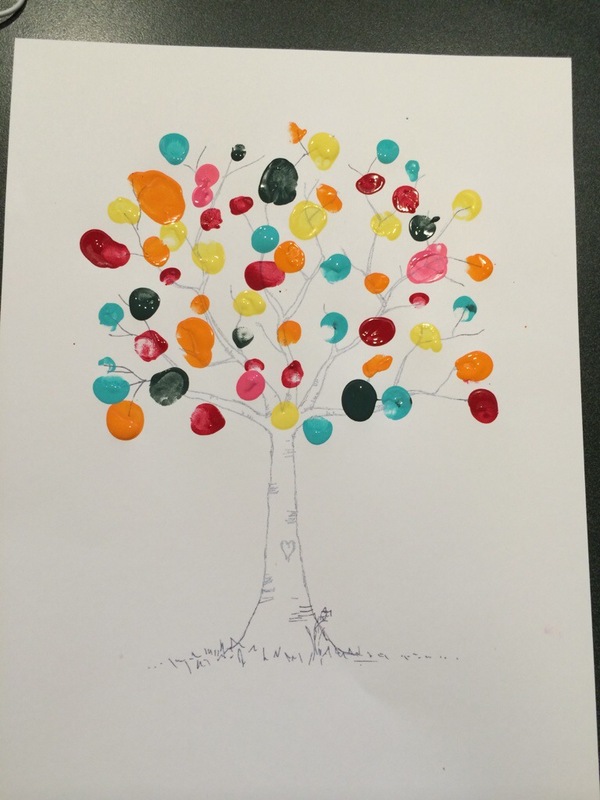 We did a fingerprint tree today for my parents. 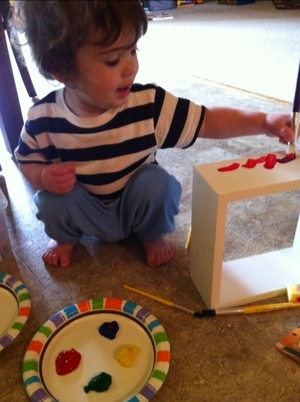 Grandparents love homemade gifts and they’re fun to make! We ended up doing a second one so that I could hang one up at home! I love this idea and they’re fun to do. Right now these are the most played with toys in our house..
My 18 month old girl loves her stuffed puppies. We live 2 hours away from the closest grocery store so going shopping is a big outing for us. We allow the kids to pick a small toy when we go and she always wants a stuffed puppy or kitten! Her laugh and learn puppy is a huge hit. She shakes her booty and claps along with the songs! Her older brother even participates which makes her super happy. This can be found here for $14.99! 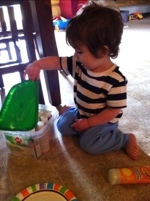 And her leap frog shapes and sorting picnic basket which her brother plays along with too. They have picnics together and sort the different food shapes onto the right plates. 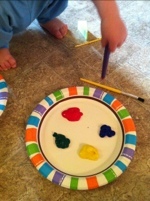 They enjoy pretend food and this gets a lot of play time! 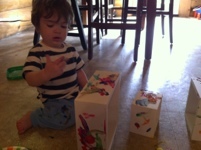 My toddler boy is in love with lego duplos! 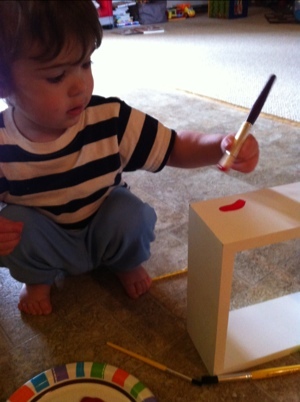 He play with Legos the most and enjoys building different things. We normally buy them when we are at the bookstore which is pricey and I would recommend amazon! 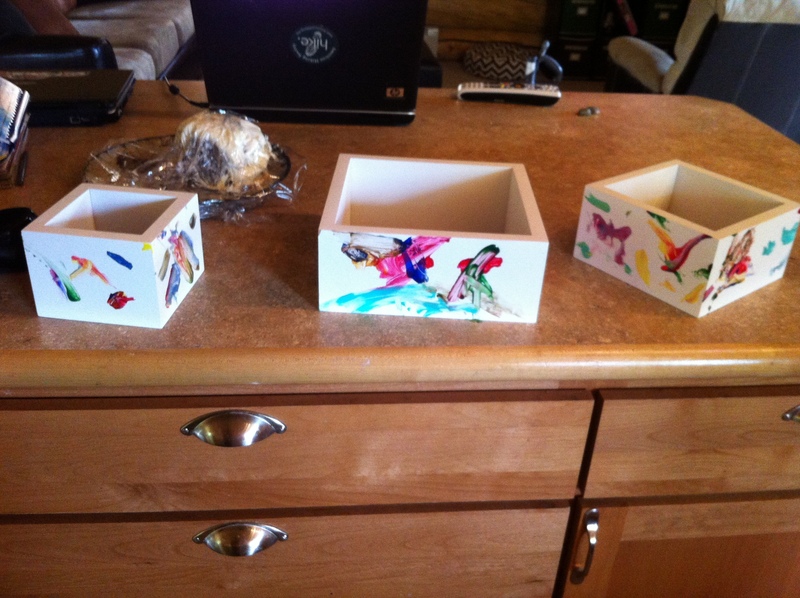 They have a lot of options, we started out with a little set that can be found here for under $20. 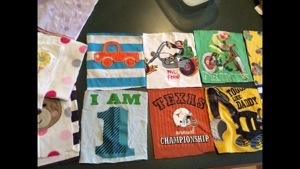 I’m making each of my children quilts from their old clothes. My sister says this is a waste of money spent but I say it’s priceless! I have a memory associated with most of their clothes and one day I can share them all with them! I try to be great at gifting. To me someone’s reaction to a gift you spent time thinking about is the best. 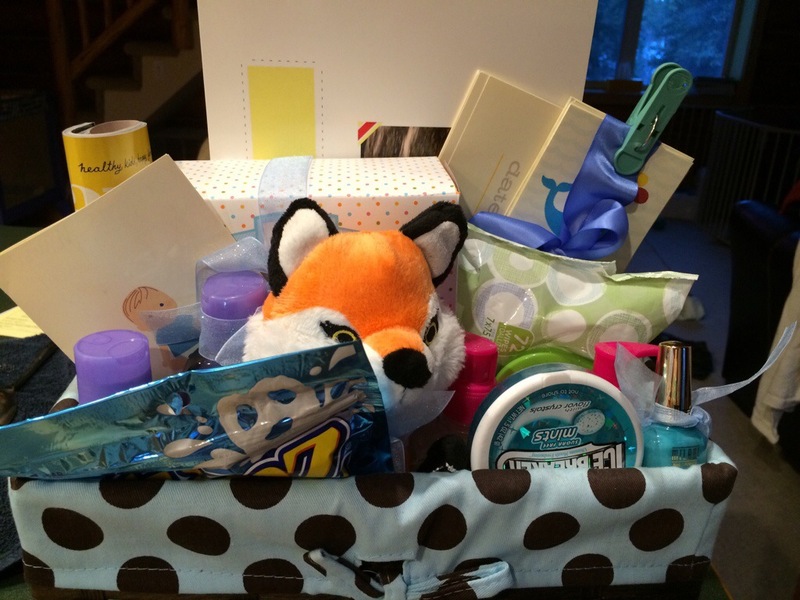 I’m currently getting a baby shower basket ready for a friend who unexpectedly lost her husband a couple months ago. She’s about to have their first child. These are the cupcake onesies. 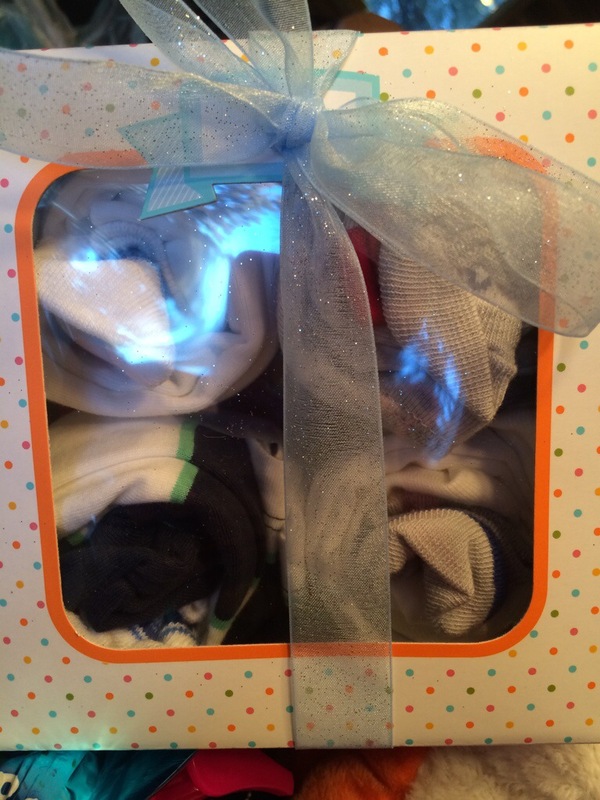 It’s four onesies, two pairs of socks, a cupcake box, four cupcake liners, tape and a ribbon! You just roll the onesies with a sock sticking out of the top to make them look like cupcakes! 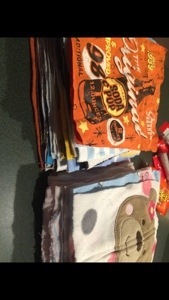 It’s super easy and totally adorable! The shutterfly book is my favorite. I put it together of pictures of her husband and her with cute sayings throughout. 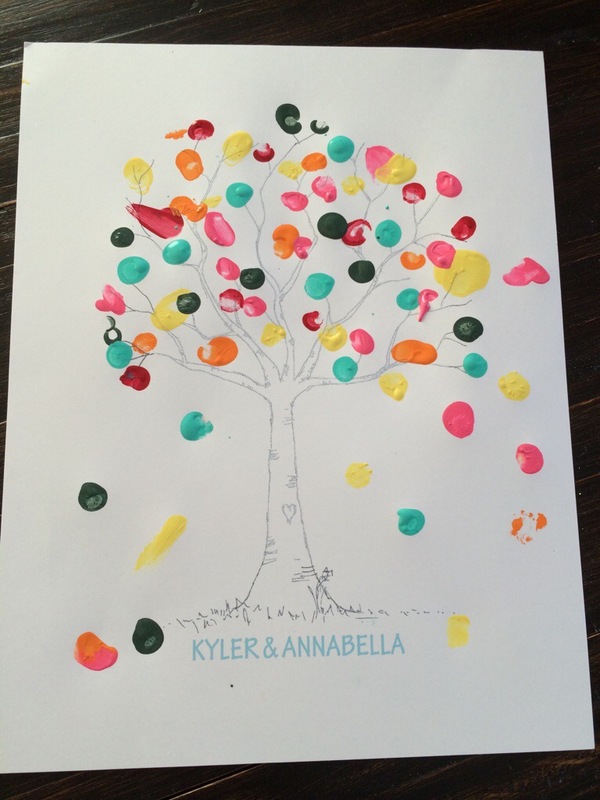 I added spots for her to add photos too such as months 1-4, first vacation, first haircut, baptism etc. I know she will appreciate this and can’t wait to see her face! 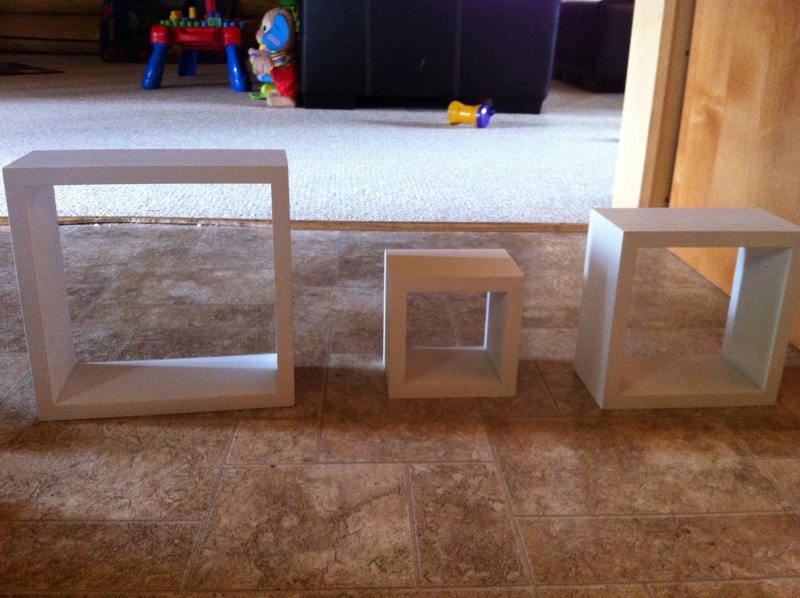 We had these three boxes to hang on the wall in our guest room and ended up taking them out and putting them on a shelf in the garage to collect dust. Now that we are getting the nursery ready for our little girl I would like to do as much DIY projects as possible to make it more homey and of course cheaper! 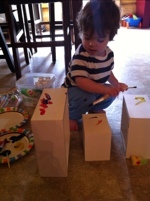 So I had the idea of having our son Kyler paint the boxes! He had a great time and they came out super cute! 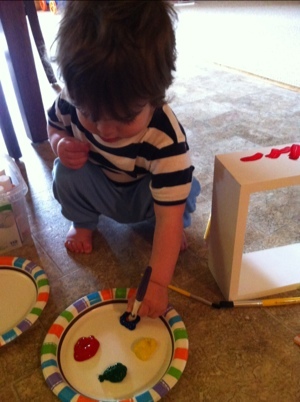 We used washable children’s paint to keep it as clean as possible. Of course Ky had a bath immediately after and it easily wipes off of the kitchen floor! 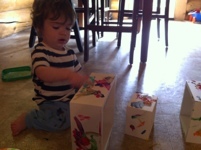 This was definitely fun for all of us and a great gift to his soon to be little sister. I let them dry and now have them hanging in the nursery and am excited for more projects to come! Mom is knitting these adorable stuffed bears for each of her grandchildren. She is using alpaca wool that she picked up from a renaissance fair in Virginia which will make for a super soft cuddly gift. She got the pattern for this from allaboutyou.com. I asked if it was difficult and she said the pattern had great directions. 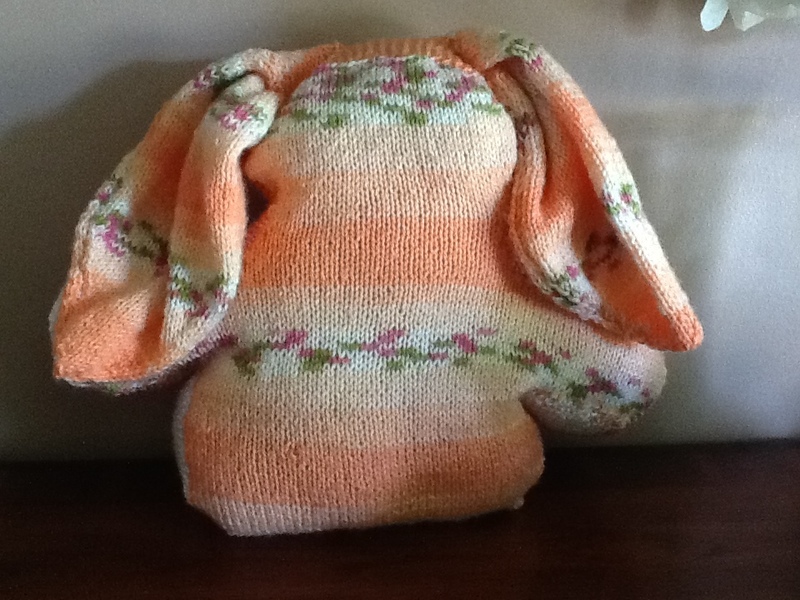 She still wants to embroider a face and even knit a little jacket which would be super cute! 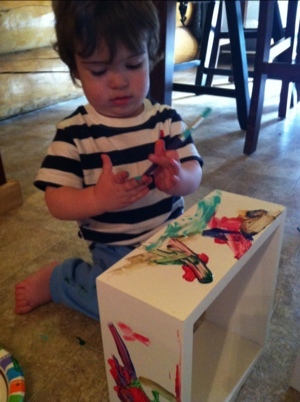 It sits about 5″ high so makes a perfect size for little ones! For this project Mom got the yarn on sale at Michaels. She ended up running out of yarn so used a pink and while yarn to finish the sides. She’a also thinking of embroidering a face on the bunny which would be cute but I think it’s fine without one.